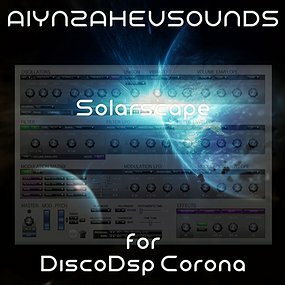 Aiyn Zahev Sounds has released Solarscape, a new 71 preset bank for discoDSP's Corona synthesizer. 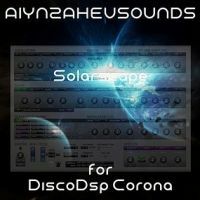 It features many modern trance sounds as well as creative ambient and house style sounds. All patches have Modulation Wheel assignments and velocity is set to suit the different preset types.